Police said the K2 was laced with something called fubinaca, an "ultrapotent" synthetic cannabinoid known to be 50 to 85 times more powerful than K2. The synthetic drug K2 suspected to have caused more than 100 overdoses in the New Haven area between Tuesday night and Thursday was contaminated with another synthetic drug called fubinaca, police said Friday, and New Haven police have identified two people arrested in connection with the case. One form of fubinaca is an "ultrapotent" synthetic cannabinoid known to be 50 to 85 times more powerful than K2 and "poses a public health concern," according to a 2017 article in the New England Journal of Medicine that found the drug was involved in a 2016 outbreak in Brooklyn, New York, that resulted in dozens of hospitalizations and left the area looking like a "zombieland." Emergency responders in New Haven have been dealing with a massive number of overdoses since Tuesday night. Many of the people became ill while they were on the New Haven Green, which is located near Yale University. There have been no fatalities, but Campbell warned that the drug can be fatal and for people to stay away from it. 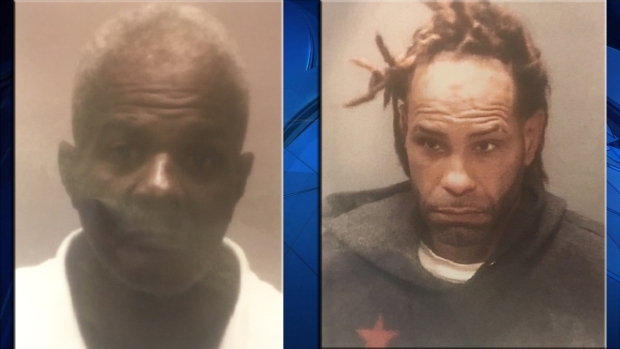 Police have arrested 53-year-old John Parker and 37-year-old Felix Melendez in connection with the case. 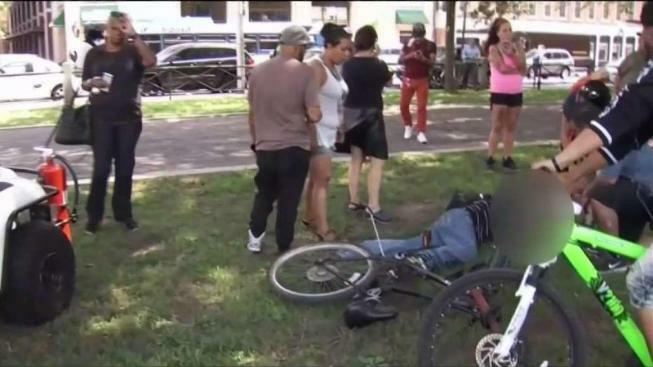 Campbell said that Parker had 32 bags of K2 on him at the time of his arrest and has been identified as one of the dealers who distributed the K2 that caused the rash of overdoses on the Green. He has been charged with possession with intent to sell and other related charges. Melendez was arrested on a violation of probation warrant and possession of a controlled substance. Police said Melendez had K2 on him at the time of his arrest, but at this time, he has not been connected to the distribution of the K2. Both men have been previously arrested for selling drugs on the Green, police said. A third suspect is in federal custody, but New Haven police would not comment on the status of the federal investigation. People who take the K2 have been having seizures, going into cardiac arrest, vomiting or passing out. Chief Campbell said he witnessed up to eight people not being able to breathe and needing to be resuscitated. New Haven Emergency Operations Director Rick Fontana said there were 36 suspected overdose calls from 10:15 p.m. Wednesday through 8:30 p.m. Thursday alone. There have been no additional cases on Friday, according to police. Police said they have identified 47 of the victims of the overdoses. Many of the people who needed to go to the hospital sought medical assistance up to four or five times. Other victims were not positively identified. Officials said fubinaca was found in nearly all the K2 samples New Haven police recovered this week. The DEA helped the city discover what was in the co-called bad batch. Police said it speaks tot he dangers of taking illegal street drugs that can be laced with anything. "There is no quality control on clandestinely produced substances that are distributed by people with not the scruples that most of us have," said Uri Shafir, acting assistant special agent in charge of the DEA's New Haven District Office. Fubinaca was to blame for the Brooklyn outbreak in July 2016, according to the New England Journal of Medicine review of samples taken from some people hospitalized. "When they smoke that stuff, they drop like flies," a resident told NBC New York at the time. Another resident said the passed-out patients he saw being treated made the area look like "zombieland," according to the Guardian. U.S. Sen. Richard Blumental met with New Haven officials Friday and said the new synthetic drugs are "killers" that are coming across borders from China and Mexico. "They are used by amateur chemists, mixed with other contaminants fatally used in overdoses," Blumenthal said. "I hope this administration will put aside tariff feuds and the trade wars and focus on cracking down on the synthetics coming across our borders," Blumenthal said. During a news conference Thursday, Campbell said that the city is a "great provider of service for people who struggle with addiction." Police said they have arrested three people believed to be responsible for the sale and distribution of the K2. Gov. Dannel Malloy has called the massive number of overdoses in New Haven “deeply troubling” and provided the city with state resources.